Root Level Technology, a cloud strategy partner specialized in programming and development, today announced plans to attend the 2019 HOUSTEX conference. Manufacturing isn’t the only industry facing a difficult landscape with the growth of cloud computing and the Internet of Things. An industry-leading manufacturing trade show, HOUSTEX 2019 will take place February 26-28 in Houston, Texas. This year’s conference will showcase the advanced technologies and processes that are transforming the industry, such as robotics, machine learning, and more. Exhibitors and attendees will also have the chance to meet prospective clients and colleagues, discuss industry trends with thought leaders, and attend keynotes on a wide range of topics. Root Level Technology will be attending several presentations, including “Realizing Competitive Advantage from the IoT on a Budget,” “A Peer to Peer Manufacturing Network Through Decentralization Enabled by Blockchain Technologies,” and “Competing for Top Talent During a Labor Shortage.” Fouarge encourages anyone in the Houston area while the conference is taking place to consider attending. Fouarge concluded by restating Root Level Technology’s dedication to solving the cloud needs of its clients, no matter how unique or complex. 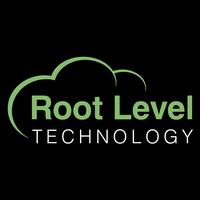 Root Level Technology is a cloud strategy and DevOps Solutions provider that delivers enterprise-level infrastructure with the kind of care that you’d expect from a small, family business.